Have you always wanted to experience the magic of the Northern Lights? Our Northern Lights Tour will give you the best chance to witness the Aurora Borealis in convenience and comfort. Picture yourself standing on an icy expanse of Icelandic countryside, looking up into the deep, starry night. The shimmering emerald-green lights dance across the sky, glowing on the faces of everyone around you. The flickering lights really give you a sense of the mystery and power of nature. On the Northern Lights Tour, our experienced guides will lead you on a fun and informative Northern Lights hunting expedition (why a “hunt”? Find out below!). Keep reading for details – or book now to secure your place on the trip! What will I experience on this tour? 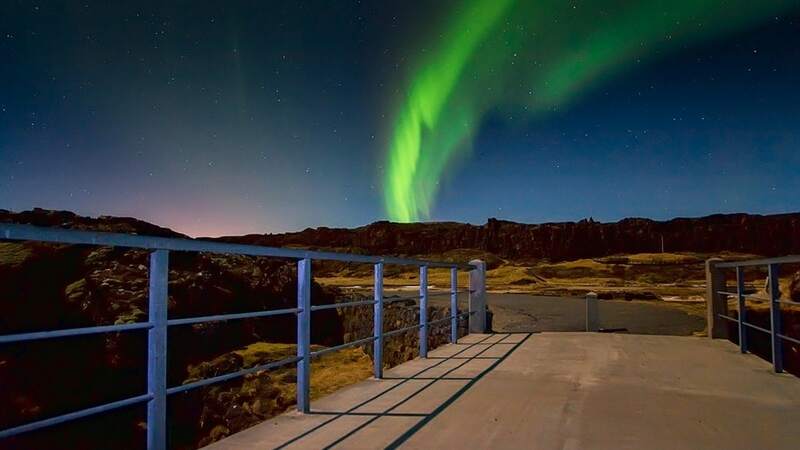 We’ll start our Northern Lights trip in Reykjavík with a no-fuss coach pickup from selected hotels or one of the convenient downtown pickup points. There’s no set destination for the tour – it varies each evening according to the optimal viewing location. Since there’s a lot of light pollution in Reykjavík, we’ll head out into the starry Icelandic countryside for the best Northern Lights viewing. The icy nighttime landscapes already have their own ethereal beauty in the dark. They’re even more breathtaking when the skies are draped in a blanket of glowing green. Our guides are experienced at predicting the best viewing – but the Aurora can still be a little elusive sometimes! This is why people often talk about “hunting” for the Northern Lights. 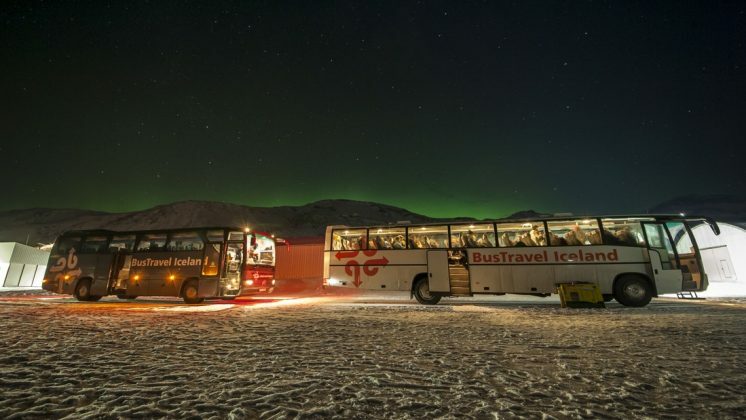 Our bus may stop at couple of different locations on our quest to see the Aurora Borealis. When we’ve reached the best location, you’ll have the chance to get off the bus and soak up the view. With a lot of planning and just a bit of luck, you’ll get to experience the magnificent Aurora (and take some photos, too). Experiencing this spectacular light show for yourself is well worth the hunt! What happens if we don’t see the lights on my first tour? Since the Aurora Borealis is dependent on weather and atmospheric conditions, it’s not 100% guaranteed that we’ll be able to see the lights on any given evening. If you have no luck on your first try, no worries! You can reschedule on future tours as many times as you need, free of charge (subject to tour availability). For your comfort: Dress to be ready for any weather! In Iceland it’s always wise to wear/bring warm, waterproof clothes – especially since we’ll be out at night on our Northern Lights excursion! We recommend a waterproof jacket and pants, hat and gloves, warm socks and waterproof shoes. The northern lights can be hit or miss..as we experienced on our first attempt. The company gives you the opportunity to come back and we did the next night. Much to our delight, we had Josh as or guide both nights. He makes the tour very enjoyable and fun. Jan was our driver the second night and he and Josh had us laughing most the night. They are great Northern Light Hunters and we were much more successful on night two. Recommend booking this tour early in your trip, so you have time to go again if the lights aren't cooperating. Fabulous trip and our tour guide Josh was amazing! Really funny and knew his stuff. Worth the money and we were lucky enough to see the northern lights on our first night! Pick up system works really well we were 2 mins from our hotel and everything in the centre of Reykjavik is walking distance. We had an extremely well-versed tour guide named Darren who was fabulous. Even though we did not see spectacular light displays, hardly any at all really, but Darren made the night tour a wonderful experience all the same. The driver was excellent, the drive was calm and relaxing, and Darren's commentary along the way was both informative and entertaining. His knowledge of Iceland, it's history, language, local hot spots, etc. was truly impressive. No light shows, but no disappointment either. People have long been captivated by these enchanting green lights. 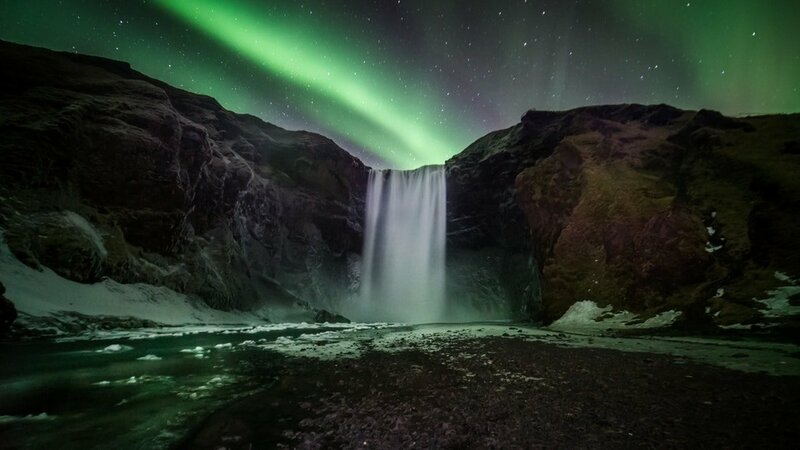 We now know that the Northern Lights, or Aurora Borealis, are caused by collisions between gaseous particles in the earth’s atmosphere. This natural phenomenon occurs when solar winds agitate the magnetic field of the earth. This ionizes the gaseous particles, which causes them to give off light. This produces the dancing show of colors that we admire so much. Your guide will be on hand to share more fascinating info about the Aurora Borealis during your trip. What is the best time and place to see the Northern Lights? The Aurora Borealis occurs in regions with higher latitude. 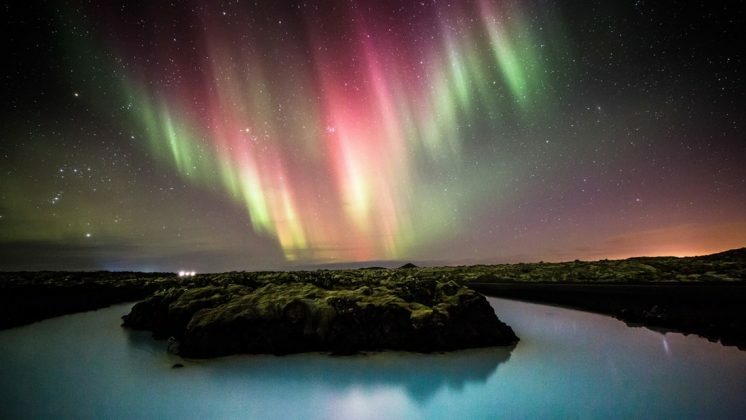 This means that Iceland is one of the best places to see the Northern Lights. The area surrounding Reykjavík is a fantastic spot for chasing the lights. 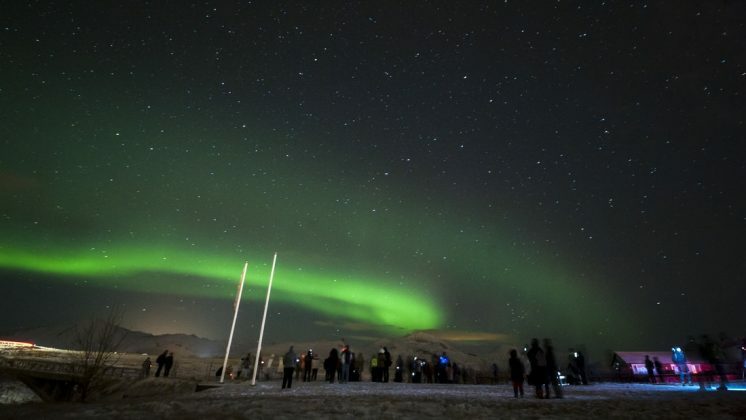 The best time for Northern Lights viewing in Iceland is during the winter months. The Northern Lights tour runs from late August through to mid-April. Even in peak Aurora season, viewing can vary according to the weather and atmospheric conditions. Our expert guides work hard to predict the best location to see the Aurora Borealis each day. We’ll drive to the most likely location for the best chance of a successful Northern Lights experience! What other important details do I need to know? 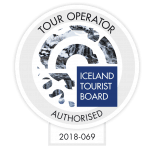 Pickup is available at selected hotels and at special tour bus stops throughout Reykjavík. 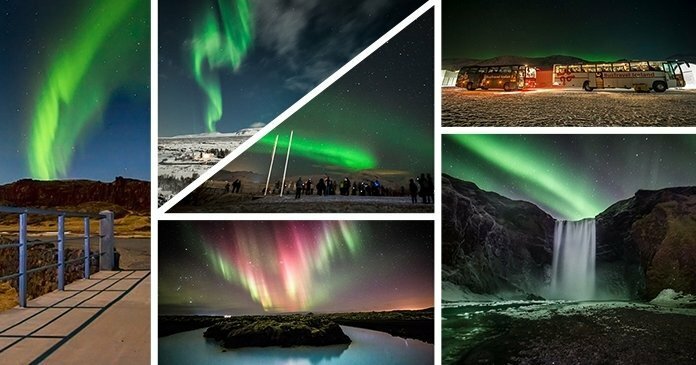 There may be more than one pickup time for the Northern Lights Iceland Tours each evening, so be sure to note the time on your ticket! Be aware that pickup can take up to 30 minutes starting from the time on your ticket. Children under 8 cannot join this tour – since this is a night tour, it’s too late and tiring for little ones. If the tour has to be canceled due to weather or light conditions, you will receive an email notification around 5 pm (17:00) on the day. You can then request to reschedule for free for the next day. If the tour has to be canceled for all the nights of your stay in Iceland, you can request a full refund. If you cancel your booking with more than 24 hours’ notice you will get a full refund. Cancellations less than 24 hours in advance are non-refundable. Are you keen on small group travel? Check out our premium Minibus tour. It’s a great option for a small group Northern Lights Tour. Looking to see the Aurora in maximum comfort? You might enjoy our Deluxe Northern Lights Tour. This tour offers an upgraded Northern Lights experience in a customized luxury bus. If you’re wondering about the best way to see the Northern Lights in Iceland, our Northern Lights Tour will take away the guesswork. Let our guides do the planning, jump aboard the bus and be whisked away in search of a spectacular Northern Lights experience. Reserve your spot now and join us in the quest to witness one of earth’s most magical phenomena – the Aurora Borealis! Witness Iceland's most dramatic scenery. Join our South Coast day tour from Reykjavik to visit waterfalls, glaciers and black sand beaches all in one trip. Get front-row seats to nature’s greatest light show with our Northern Lights Deluxe Tour. 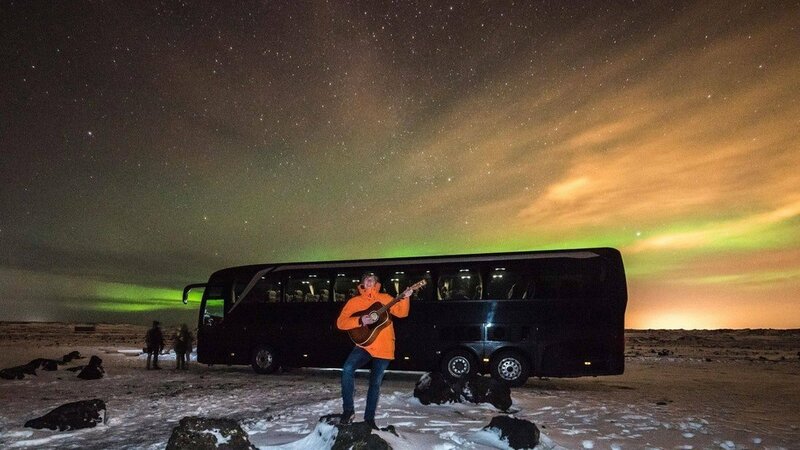 Enjoy the Aurora from the comfort of a special luxury bus.